Being a Medical Assistant can be a very rewarding career. There’s something very fulfilling about helping someone with their health issues or pain relief. Medical Assistants rely on several necessary skills for success in the field. Math is a skill that plays a very important role in the healthcare profession, especially for Medical Assistants. You may not have realized the importance of accurate math skills for Medical Assistants, but it is used in several different ways throughout their day: such as calculating medication, metric system conversions, vital signs, lab tests and while conducting clerical office work. A doctor’s prescription may be filled by Medical Assistants to administer medication to patients. In measuring the medication, the Medical Assistant needs to gauge the correct dosage. It’s vitally important to calculate the correct amount, as giving too much or too little to a patient could cause serious harm. Ratios and proportions are also used when calculating how much medication to give to a patient. The patient’s weight dictates the medication’s dosage. Sometimes micrograms will have to be converted into milligrams by setting up proportions. In calculating medications for children, one formula to use is Clark’s rule. Graphs and rubrics are also used in determining the correct weight and height. A Medical Assistant will use the weight and height of a patient to create a graph. If a baby scale is unavailable, a Medical Assistant may have to calculate a baby’s weight by weighing an adult and the baby together and then subtracting the adult’s weight from the total. The medical field primarily uses the metric system for measurements. It’s the most common measurement system in the world. Many believe the metric system is a more accurate way to give medication. Decimal points are also often used in converting metrics as a short-cut. Medical Assistants must have knowledge of converting the customary U.S. measurements into metric measurements. Accurate calculations with those measurements is written in unit notations. One of the most important vital signs Medical Assistants will take is the pulse/heart rate. They will need math skills for taking respiratory rate, blood pressure and body temperature. A person’s heart rate is measured by the number of times their heart beats per minute. A patient’s pulse can be taken by placing two fingers (not a thumb) at their wrist over the artery and multiplying the number of beats counted in 15 seconds by 4 to get the heart rate. Respiratory rates can be calculated by watching someone breathe for 15 seconds and multiplying the number of breaths taken by 4. Blood pressure is measured by two different numbers; the higher number is the systolic pressure and the lower number is the diastolic pressure. When taken, it’s written as a ratio figure with the systolic pressure number over the diastolic pressure number. A Medical Assistant may need mathematical skills to read a thermometer and convert Fahrenheit to Celsius. Medical Assistants often assist with patient billing. They must know basic addition and subtraction to calculate bills for the cost of the office visit, plus any procedures that were done. A Medical Assistant may call the patient’s insurance provider to verify their insurance and the amount the insurance company will pay toward the patient’s bill and then calculate what the patient owes, minus what their insurance pays. Did learning about the importance of math for Medical Assistants interest you? Interested in working with colleagues who want to help their patients stay healthy? Ready for an exciting new career in the Medical Assisting field? PCI Health Training Center’s Medical Assistant programs prepares a graduate to work as an entry-level Medical Assistant. Within this general career category there are several specialty areas, including Medical Administrative Office Assistant, Clinic Assistant, Clinic Tech, Medical Office Manager, Phlebotomist, Physical Therapy Aide in a doctor’s office, clinic or hospital out-patient clinic. Contact PCI Health Training Center for more information on how to become a Medical Assistant and start a rewarding career today. Dental assistants play a critical role in a dental office. A dental assistant regularly aids the dentist, ensuring that patient care is completed as efficiently and effectively as possible. Dental assistants often work in traditional office settings. However, dental assistants who are feeling adventurous can consider a career beyond the typical dental office. There are several creative possibilities for jobs beyond the dental office that dental assistants can consider including working as a dental office manager, teaching dental assisting, selling dental products, dental assisting in the military, and a dental insurance claims processor. A dental assistant works with the dentist to offer proper dental care and educate patients on good oral hygiene, according to the American Dental Association. They will assist the dentist during treatments, exams and procedures. The dental assistant takes vital signs and records the patient’s medical history. They will also take impressions of the patient’s teeth for casts and models. The dental assistant will assist the dentist whenever they are caring for a patient to make sure the patient is comfortable and properly informed during any procedure. Dental office managers have administrative roles and oversee the functioning of a dental office. They answer phones, greet customers, order supplies, manage bookkeeping, take inventory and cover for other dental office staff. As a dental office manager, you’ll work with front desk staff, hygienists, dentists, and staff to ensure that the dental office is functioning smoothly, and that patients are receiving the best care possible. Some dental assistants may become teachers in different teaching capacities. 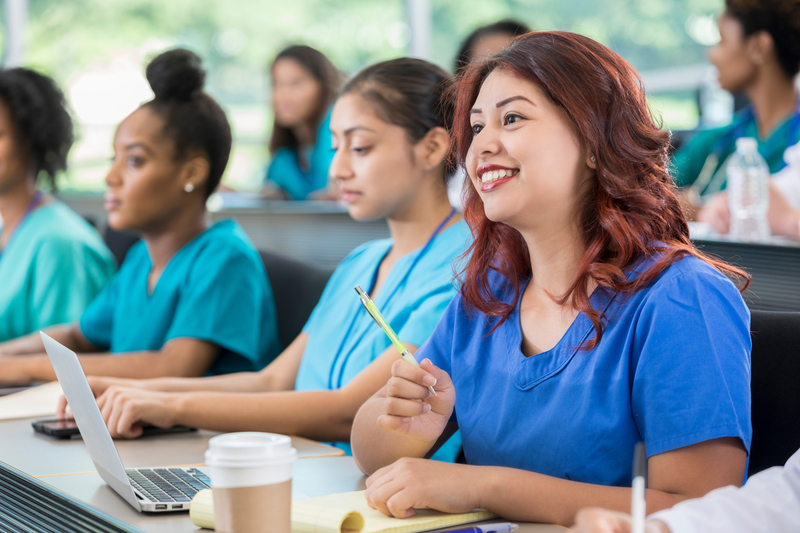 Dental assistants who decide they want to teach can get a simple certification that allows them to provide education to others who are hoping to pursue a similar career path. Dental Assistants can also work in schools to educate students on proper oral hygiene. 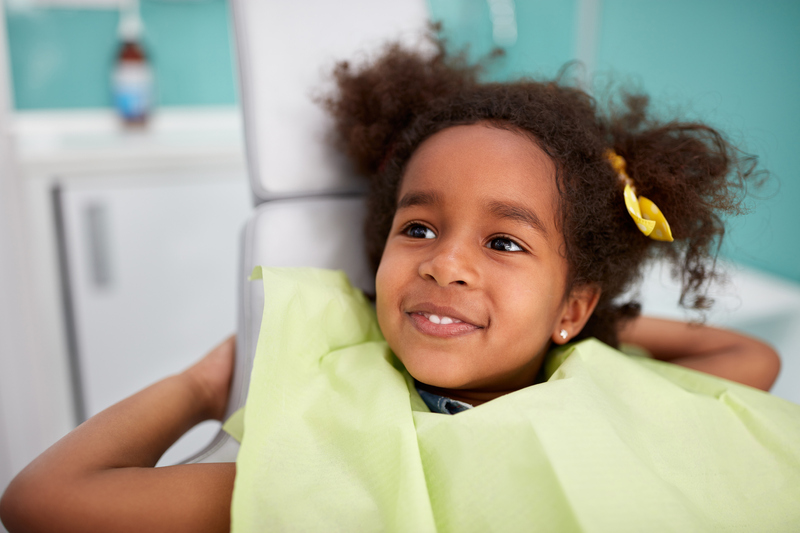 Habits are learned at a young age and helping youth with preventive dentistry will set them on the path to healthy teeth and gums. Dental product manufacturers and distributors employ people with a distinct knowledge of dentistry to sell their dental products. Dental assistants are often qualified to hold these positions because they have an in-depth knowledge of oral health, teeth, and how the dentist office works. Dental assistants can consider getting into sales if they want to use their knowledge and continue to improve dental offices, while not having to work chairside assisting a dentist. Dental assistants may want to travel or be in more exciting work environments than a typical dental office. For those dental assistants, there are careers in the military. Military dental assistants work for military dentists, who provide dentistry to people in the U.S. armed forces. The main job functions include education of troops in preventative dentistry, radiology techniques, and dental office procedures. The dental assistant may be stationed in military dental clinics or deployed where soldiers are located. Some military dental assistants may even serve aboard a ship. The military dental assistant will help the troops with oral hygiene and serve their country at the same time. If you have trained to be a dental assistant, you are qualified to work in the dental insurance industry. Working in dental insurance allows you to process dental insurance claims, verifying the treatments that were given to patients and deciding whether those treatments qualify for coverage. Working in dental insurance is a good way to use your dental knowledge in a more business focused position. Being a dental assistant is a fulfilling job where you get to provide oral health care for those in need. 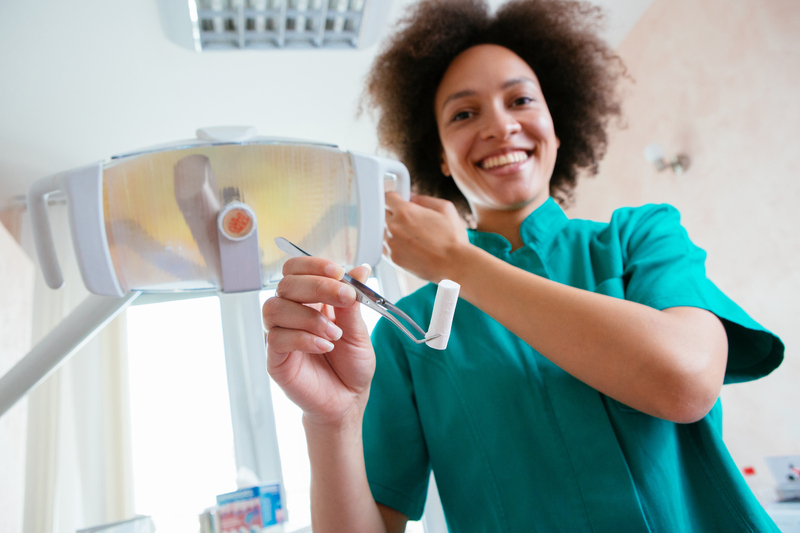 While many dental assistants choose to work in a regular dentist’s office setting, some may be looking for more unique career opportunities or interesting work environments. Those dental assistants, upon gaining experience in the field, can consider working as a dental office manager, teacher of dental assisting, selling dental products, becoming a military dental assistant or become a dental insurance claims processor. You can graduate from a vocational school’s dental assisting program in as little as 9 months and start your new career in the dental industry. Many dental assisting programs offer in lab training and off-site externships to prepare graduates for real world situations Whether at a traditional dental office, in the military or working in a related field, dental assistants have the opportunity to help people live healthier lives. Interested in learning more about a dental assistant interview? The best way to look at the dental assistant job interview is to see it as an opportunity to stand out. Everyone will come rehearsed. Chances of anyone showing up inappropriately dressed are slim. You must come prepared to shine. This checklist will help you prepare for that interview with the dental office panel. Learn what the employers are looking for in a candidate and make sure you are a good fit. During the dental assistant interview, the candidate will need to know an in-depth understanding of the role. They will need a level of compassion and technology. The dental assistant candidate will need organizational skills. Their communication will be tested, and they must endure a tense situation. Preparing for these situations in a dental assistant interview will help you stand out among the crowd. The prospective dental assistant has to display a thorough knowledge of the functions. That includes knowledge of tools and techniques used. They must show proficiency in conventional dentistry procedures such as took excavation, extractions, crowns, and polishing teeth. 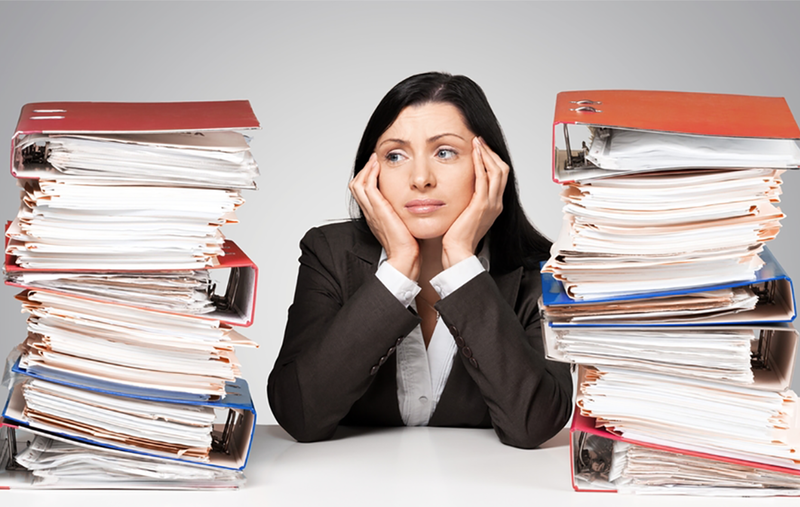 The dental assistant should show knowledge of regulations and privacy guidelines as well. When explaining anything, the dental assistant candidate should refer to processes and experiences in various work situations. That way, the interviewer can properly gauge their level of expertise. They can take a typical dental assisting day that they mastered in the past and let them see the things they did on that day to shine. There is no better way of showing compassion than an inherent desire to help others. An interviewer can inquire about the dental assistant’s immediate reaction to someone who checks in to the dental practice with an acute toothache. One’s ability to relieve the patient’s pain immediately is imperative. Rushing to give a painkiller shows concern but rushing to process the patient is better. Such processing will include medical history, insurance, and current complaint. The employer will want to see that level of craft and resourcefulness. Helping is a team effort. It pays to show that one understands teamwork as a core value in dentistry. Borrowing an example from chair-side assisting can help the candidate demonstrate their ability to anticipate team needs. It is now a requirement in most jobs to be computer literate. Showing computer literacy and a desire to adopt emerging technologies will help improve the chances of landing a dental assistant job. The dental assistant is the face of a dental clinic. Patients will come armed with information from the Internet. The dental assistant should also be abreast of such information. It is not necessary to know all the technical resources that a dental practice Including dental office management software and showing a fast learner’s attitude. The dental assistant must also demonstrate competence in data handling from capturing to retrieval. When answering questions, one’s answers should flow logically. The interviewer can spot the ability of a successful dental assistant to transition effortlessly from task to task. However, it is not easy to keep a steady flow. It requires plenty of practice and knowledge. One must deliberately accustom themselves to operational processes of dentistry. How to conduct an initial evaluation, take patient information, do x-rays, root canals, and make dental impressions are some of the things the dental assistant is expected to know. One must also show that they can schedule and multitask effectively. A dental assistant has to show that they can communicate with a problem patient effectively. That must come out through effective people skills. They must practice being resourceful in challenging situations. It is up to the dental assistant to prepare adequately by brainstorming and practicing various situations. They can rely on their experience. Do not dwell on the positives only. There are days when things did not go as you envisioned. Sharpening verbal communication is also important. The interviewer will devise a situation that the dental assistant must diffuse. The first thing that they will want to see in a successful dental assistant is active listening. If the dental assistant manages to display that, they will have a good chance of getting that job. Remember, a dental assistant can nurture this trait through regular feedback and improvement. They can use their friends or family to try different situations. Further, the dental assistant must show adaptation and composure. We know that job hunting can be unnerving. There are many different situations when a dental assistant needed help in many situations when they are stuck. The candidate will need an in-depth understanding of the role of a dental assistant. People skills and that ability to be a calming presence should come naturally. It is up to the dental assistant candidate to prepare. Utilize these tips to stand out among the crowd of dental assistant candidates.Still deciding whether you want to become a dental assistant? Ready to learn more about a program that will help you become a dental assistant? The Dental Assistant Program prepares a graduate to work as an entry-level Dental Assistant, Dental Receptionist, Office Manager or Dental Hygienist Assistant in a dental office, specialty practice, or dental clinic.? PCI Health Training Center Richardson, TX Campus offers the dental assistant program. Contact PCI Health Training Center for more information on how to become a dental assistant and start a rewarding career today. Motivation can be defined as the basic driving force behind human action. A person’s needs and wants impacts the direction of their behavior. There are four forms of motivation: extrinsic, intrinsic, physiological and achievement. There can also be negative forms of motivation. Extrinsic motivation is behavior driven by external rewards from outside the individual. Intrinsic motivation is the opposite of extrinsic, where motivation originates from within to strive toward personal satisfaction. Physiological motivation involves a need from the body for things like food or water. Achievement motivation centers on the need for humans to succeed or to attain excellence. Patients view medical assistants as healthcare professionals. These medical professionals have influence on patient motivational behavior. Helping people improve their ability to manage a chronic condition or modify their behavior is something a medical assistant can do on a daily basis. Using the correct technique is critical to making a person feel empowered and motivated to change. One of the most effective techniques used is teaching motivational behavior skills. What Do Motivational Behavior Skills Do? Motivational behavior skills help people change an aspect of their health. They integrate several elements needed to make sustainable change and are regularly used by healthcare professionals, including medical assistants. From a health promotion discussion to enabling someone to learn new ways of moving about in a rehabilitation scenario, motivational behavior skills are a vital part of the medical assistant’s toolkit. The IMB, or Information, Motivational, Behavior Skills Model, targets three areas of the brain to enable changes. The cognitive area of the brain is targeted by giving information and offering knowledge to support the change being made. Motivation is targeted using the affective domain of the brain. This part of the model creates conditions favorable to change so that the person will want to do something about an issue. The third part of the model focuses on the psychomotor domain and uses examples of what is effective in making a difference. Motivational behavior skills can also help a patient from relapsing. Patients need to improve confidence and self-efficacy to resist the unhealthy behaviors associated with the challenges of addiction. There was a time when patients with medical conditions or risk behaviors were simply given leaflets or were told to change. The move towards motivational behavior skills models in the health sector has seen a transformational approach to helping people change. An example of how this works in practice is helping a patient who is overweight and does no exercise. Many people are unaware of how little exercise they do, so helping someone realize they are sedentary and overweight is the first stage. This is a core part of the work of a medical assistant. This has to be done first by building rapport with the patient and gaining trust. Techniques include listening, good eye contact and engaging them in conversation. Raising awareness in having a problem is the next stage of the process. Motivational interviewing techniques that focus on the present and aim to reduce ambivalence in change are used. These raise awareness in a motivational way by getting the patient to work out their individual goals to make a change. This technique is completely different than simply giving instructions to someone. Once someone is motivated to change, techniques to change behavior can be introduced through goal setting. Examples include taking a five-minute walk around the block each day or giving up a sugary snack mid-morning. By getting people to achieve small, tangible goals, they can work towards the next few changes with more confidence. Medical assistants have a vital role in goal setting and supporting people to achieve behavior change. Where Has This Technique Worked Effectively? Motivational behavior skills techniques are used in several settings across the health sector and are increasingly popular. The town of Frome in England has used health connectors to work with the community using motivational behavior changes to combat social isolation and help cope with long term illnesses. The results saw fewer re-admissions to the hospital and improved the feeling of loneliness. This concept is transferable to the medical assistant role as a key element when helping people plan their care. The Center for Motivation and Change in Manhattan uses motivational behavior techniques to support people with drug addiction and alcoholism. Using a blend of counseling, goal-focused planning and support has seen positive results with people changing behavior. This is supported by studies which show motivational change was more effective at reducing addiction than other standard facilitation programs, including Alcoholics Anonymous. 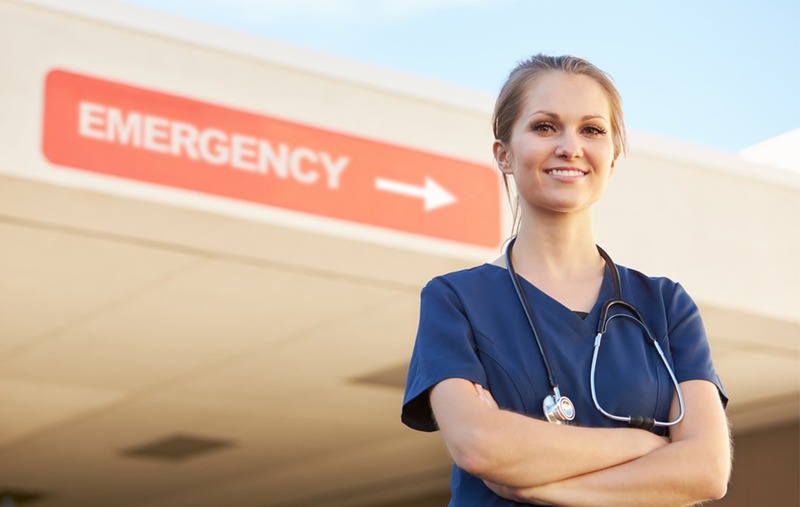 Medical assistants working in addiction clinics can integrate these techniques into their work to help clients effectively. In the physical therapy sector, a study looked at the difference in outcomes in people with low back pain receiving motivational techniques to change behavior compared to physical therapies alone. The research reported better health outcomes in those receiving motivational behavior change, as this was more sustainable for the long term. This supports the role of the medical assistant in using these techniques in their work with clients. Motivational behavior skills are a critical part of the role of a medical assistant and can be embedded in a variety of settings. With the increase in people with lifestyle problems, chronic medical conditions and the soaring cost of healthcare, integrating this concept into care planning is vital. Did learning about medical assisting and motivational behavior interest you? PCI Health Training Center’s Medical Assistant program prepares a graduate to work as an entry-level Medical Assistant. Within this general career category there are several specialty areas, including Medical Administrative Office Assistant, Clinic Assistant, Clinic Tech, Medical Office Manager, Phlebotomist, Physical Therapy Aide in a doctor’s office, clinic or hospital out-patient clinic. Contact PCI Health Training Center for more information on how to become a medical assistant and start a rewarding career today.